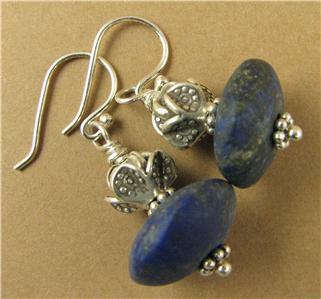 Home › Lapis Lazuli and silver earrings. Fine and sterling silver. Designer handmade. 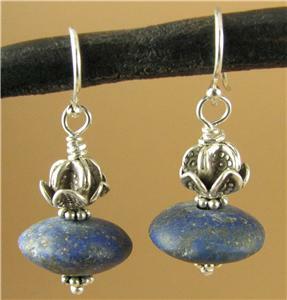 Lapis Lazuli and silver earrings. Fine and sterling silver. Designer handmade. 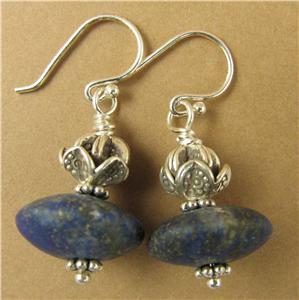 This is a gorgeous pair of lapis lazuli and silver dangling earrings. 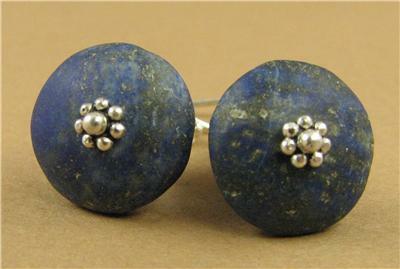 The stones are natural unpolished lapis lazuli from Afghanistan (where the best lapis comes from). The large silver bead is extremely pure solid fine silver (98%). 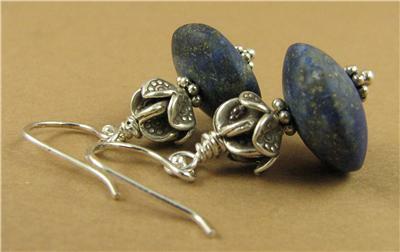 The other beads, the silver wire inside and the ear hooks are all solid sterling silver. 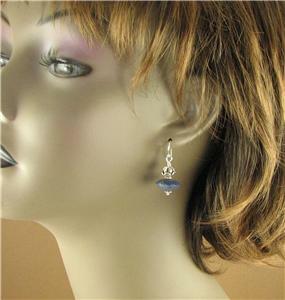 From the top of the hooks, the earrings are 3.5 cm long.